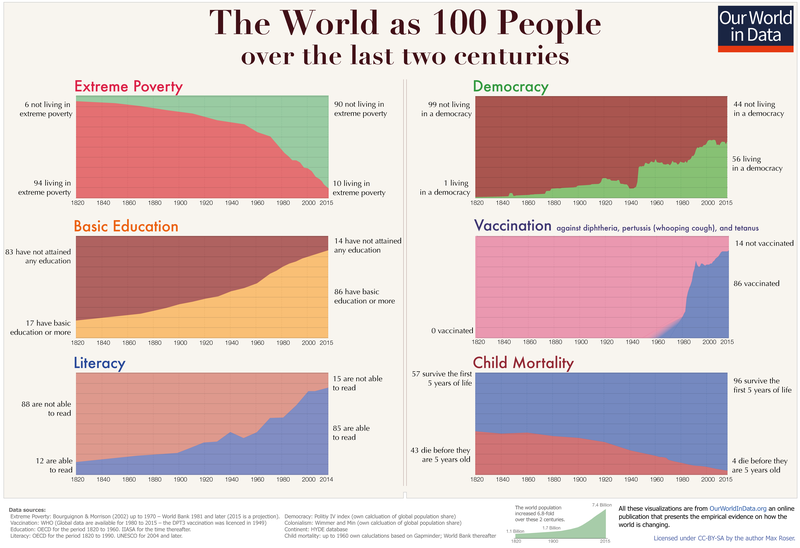 It’s particularly worth noting the very small graph at the lower right, which shows the increase in world population. These metrics didn’t just improve for the original population, but for almost 7X the original population. That means, for example, that the 6 people not living in extreme poverty 200 years ago increased to 630 people today. Money may not be able to “buy” happiness, but it’s certainly an enabler. 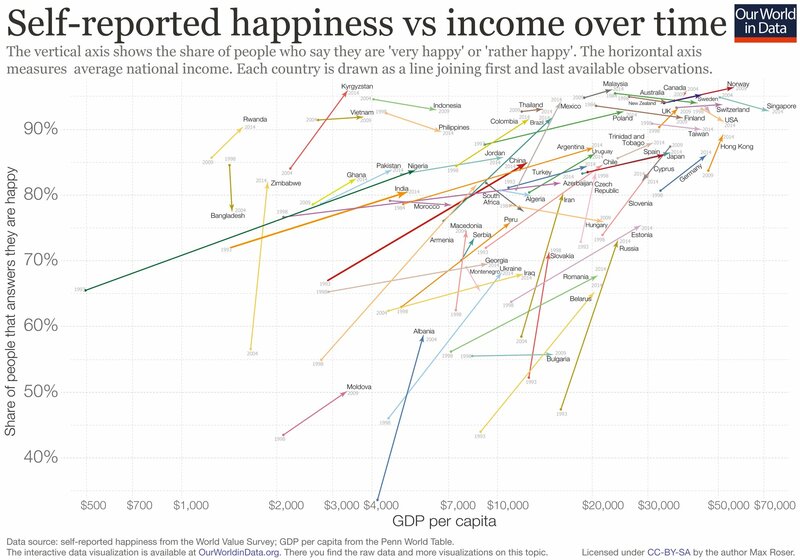 Not a big surprise that US happiness declined, given the first data point was in the DotCom explosion (1998) and the second was in the Obama recovery period (2014).